Lovely! There is something wonderful about simplicity. I love beautiful flowers and the simplicity of them – thank you! Thanks for following my blog. Best to you. Please edit your menu..you have two home page Menu. Always Welcome Keep in touch. thank you very much…i expect much more good ideas from you…that’s why i will follow you….. Thanks for the follow – I love simple things too. I expect more beautiful things from you dear…..
nice images. are they yours? surely…these all flowers are from my home…i have a huge collection of many type flowers…. her i share the beauty of them…. Thank you for your like in my blog…. Thank you for following 2max Kochi. Your blog is a simple delight. Keep it going. Rich and lovely blog ! your lowers are wonders and wonderfully photographed. I am following your blog now. …welll… what did I mean to write when I said “…lowers” ? substitute with PICTURES OF FLOWERS please. My finger forgot the F in flowers…! I must have been really dazzled by your flowers! V.
Thank you for the follow, AbinSabu. Thanks for “subscribing” to thetompostpile….Welcome! beautiful -love the serenity. Also, thank you for looking at my blog and following! Thanks for stopping by!! 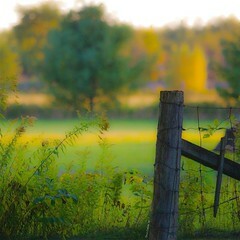 Lovely pics and makes me think of home!! You Are Welcome To Abin’s World…. I simply want to mention I’m newbie to blogging and certainly savored this website. Almost certainly I’m want to bookmark your site . You amazingly come with very good articles and reviews. Regards for revealing your website. I just want to mention I’m new to blogging and site-building and really loved you’re page. Probably I’m likely to bookmark your site . You actually come with very good writings. Thanks for sharing with us your blog. Thanks for following…Your blog is very fresh and grounded to nature.. This is utterly charming ~ one is drawn happily into this scene of pure enjoyment. Thank you for the follow – I appreciate it. And be careful of spam – it looks like you’re getting some comments that are spam – you can delete them easily on the WordPress Dashboard. thank you…i already got thousands of spam messages…..i accidently approves some of them…now spam messages became a huge problem….any solutions…!please help..
oh…Thank you very much Lily…. I always supports you…and i expect great support from you also…. Thanks for the follow, Abin; you have some wonderful photography here; glad to have connected with you here on WP.